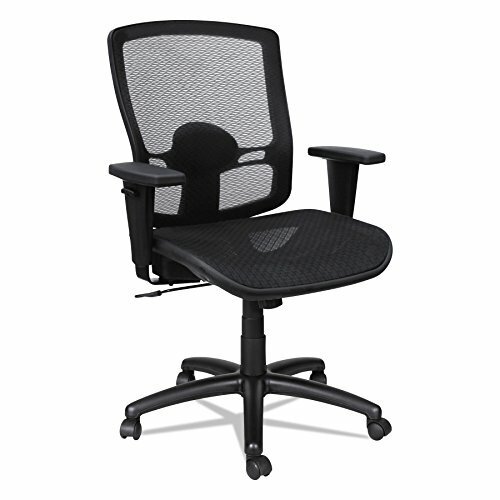 Mesh suspension seat and back provides firmness, breathability and comfort. adjustable lumbar support. back reclines at 2-to-1 angle to the seat allowing user to recline while keeping seat relatively even with the floor. adjustable arms offer optimal positioning. five-star base with casters.